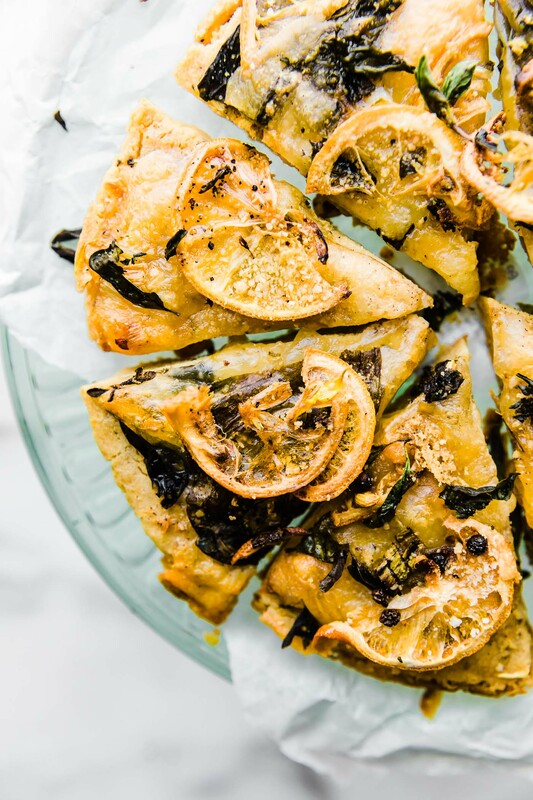 Lemon Herb Socca Pizza is a vegetarian farinata recipe that’s zippy, zesty, and delicious. Perfect to serve as an appetizer, flatbread, or light meatless meal. Grain free with vegan option. Hey hey! 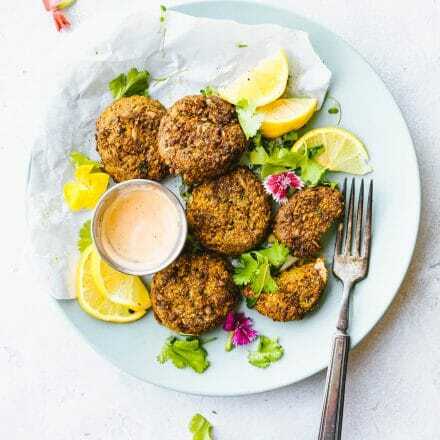 How about an EASY delicious vegetarian recipe today? 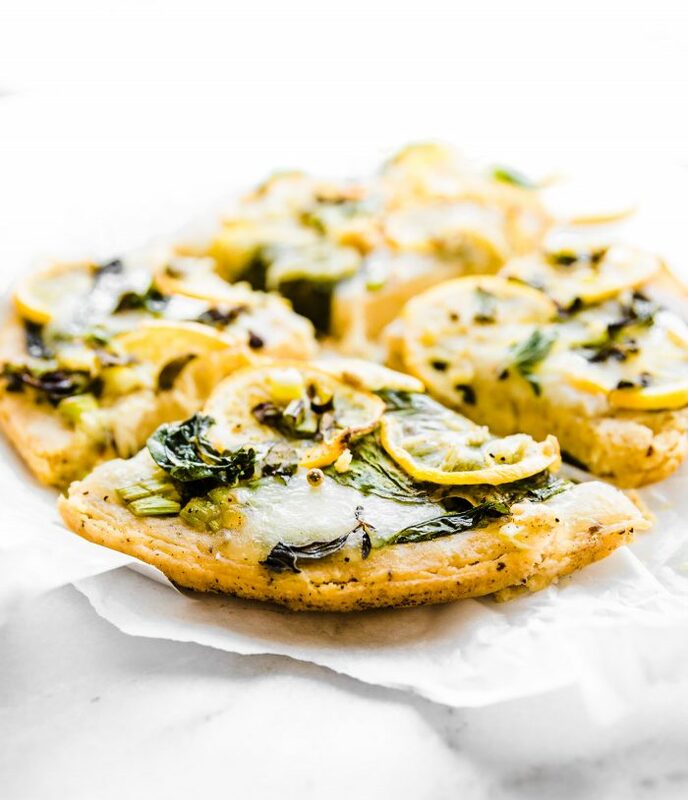 I’ve partnered with Bob’s Red Mill to bring you this Lemon Herb Socca Pizza (Farinata Recipe)! We are thankful for their wonderful gluten free products and allowing me to continue to share and create gluten free recipes. 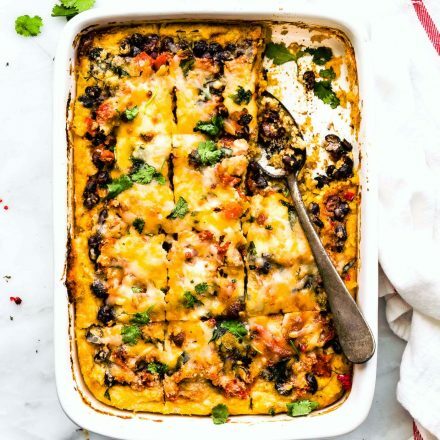 It’s the meatless Monday dish of your almost Summer dreams! Yes! Another Socca recipe. Although this one is more socca pizza and Flatbread combined. It’s not too thick, it’s extra crispy, and when broiled it makes for a an excellent sweet and savory flatbread appetizer, also known as Farinata (chickpea pancake). Confused yet? Don’t worry, we will get all that sorted out in a minute. But first, I have to share with you something EXTRA special and cool. Mmmm k? So this past weekend I had the pleasure of dinning with the most AMAZING Bob’s Redmill team members; Cassidy and Sarena. I call them team because they work together to truly share their passion for this company. 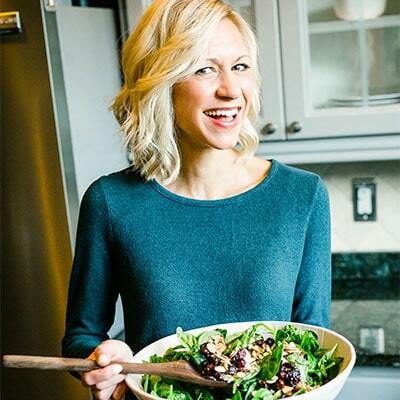 Anyways, Sarena (my long time gluten free food blog friend) is the Social Media Coordinator Bob’s Redmill and does an amazing job! Cassidy is the Digital Communications Manager. She’s obviously AMAZING too. My goodness, those two are amazing together. Hence the mention of TEAM. It was a delight to be able to connect with them and it’s been such a joy to work with this Bob’s Red Mill team. I’m excited for what this brand is doing now and in the future! I think you will too. So stay tuned for that. Alright, I better stop now before I brag about them forever, which I could. Let’s talk Socca Pizza, Socca Flatbread, Farinata, and more. As you might have guessed, I’m a bit obsessed with socca. It sounds so fancy, and yet it’s so easy! I’ve made 2 versions of the pizza style. A breakfast socca pizza and a avocado gouda pizza. 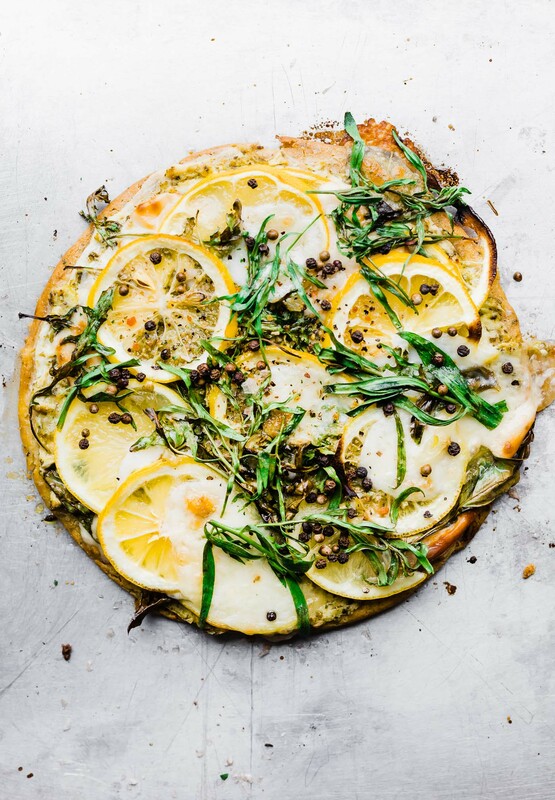 So what makes this lemon herb socca pizza recipe so different than my others? Why am I calling it Farinata too? Well, it comes down to a few minor details. Like the origin of name, toppings, and thickness of crust. Socca is made with garbanzo bean flour the name is originated France. Think of it as a large chickpea pancake. Mmmm pancakes. Farinata is made with chickpea (garbanzo) bean flour and the name is originated from Italy. Both are traditionally mixed with olive oil, herbs, and pepper. Then cooked in wood ovens on copper baking-pans. BUT …. some variations of the Italian style Farinata do not include Rosemary. And SOME variations are thinner than others. So you see, it really comes down to names, origin, and preference. In my opinion, socca pizza is thicker with a variety of toppings. Farinata is thinner, more like flatbread, with light toppings. Either way you make it, thin crust or a just a little thicker, it’s delicious. 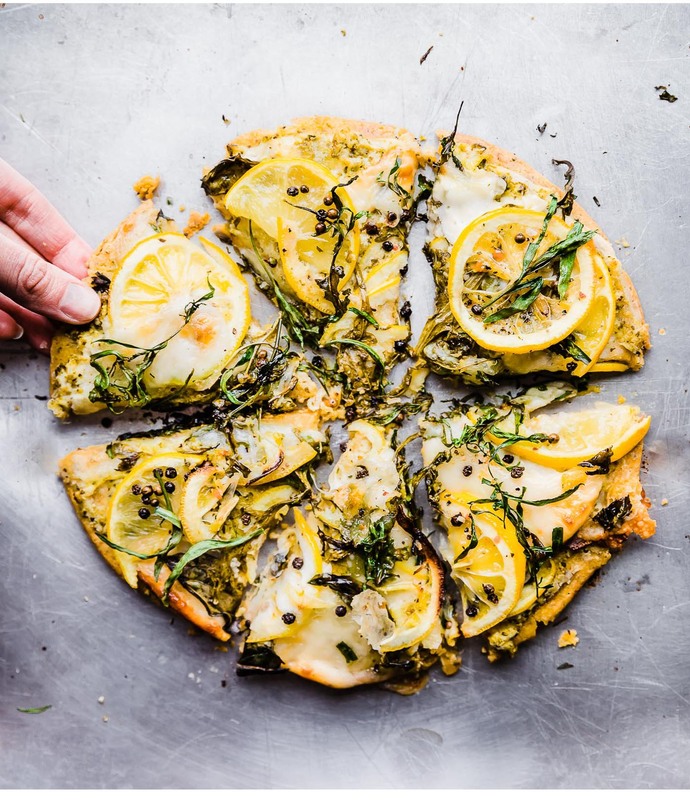 A lemon herb Socca Pizza Farinata recipe combo! Kind of the best of both words if you ask me. We’re just going to go with that, mmm k? Can I entice you with another list? 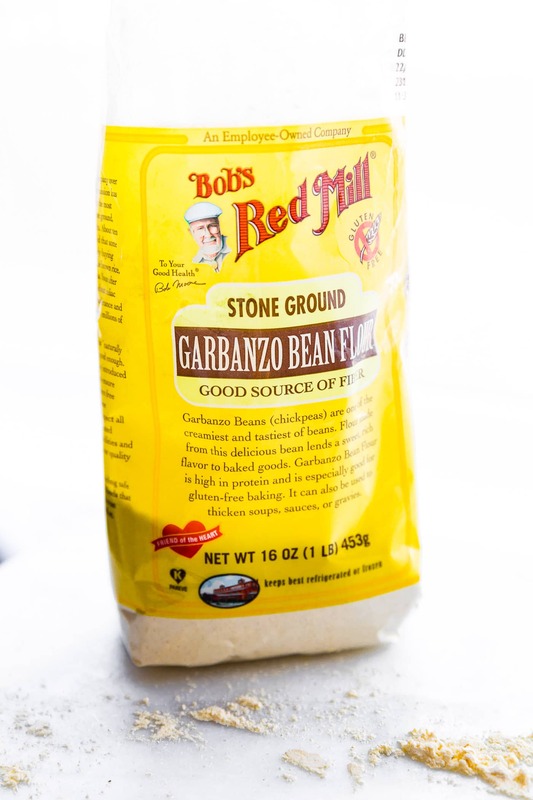 Bob’s Red Mill Garbanzo bean (chickpea) flour – This stone ground flour is high in fiber, plant based protein, and made with whole garbanzo beans. The simplest SUPERFOOD ingredients if you ask me. Organic or Homemade pesto- Yes, I am still on a pesto kick. Extra flavor and extra healthy fats! Peppercorns – Just for crunch and taste! See, half pizza and half flatbread. Can it really get any better? 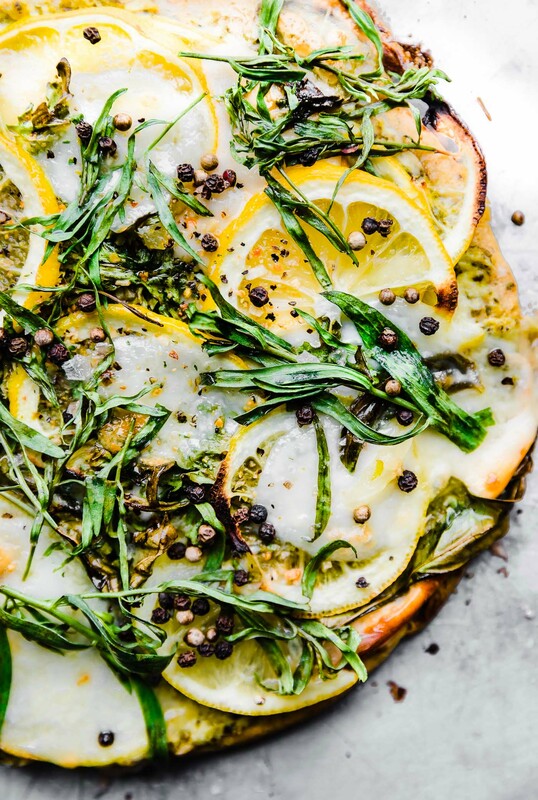 Lemon Herb Socca Pizza! A vegetarian Farinata Recipe that’s zippy, zesty, and delicous. Perfect to serve as an appetizer, flatbread, or light meatless meal. Grain free with vegan option. Smoked or buffalo style mozzarella. 4-6 ounces sliced around 1/4 to 1/2 in thick. See notes for vegan option. Extra peppercorns, seasoning, and herbs to top. Drizzle with extra olive oil before serving if desired. While the pan is preheating, prep your topping. Slice the lemon, mozzarella (or cheese of choice), and tear or loosely cut herbs. Set aside. After 10 minutes in the oven, use gloves to remove pan. Add 1 tbsp of oil to the pan and swirl it around to coat pan. Gently pour in chickpea/socca batter. Tilt pan so the batter fills and is even. Turn oven down to 425F and place pan back in oven for 5- 8 minutes depending on your oven. Just until the batter is set. If you are using a pan larger in diameter (12-15 inches) the socca crust will cook faster and come out thinner. Be sure to check at 5 minutes for progress. Remove from oven. Spread pesto sauce on top. Then add about 3- 4 slices of cheese (around 3-4 ounces), arugula (or greens of choice). Place your thinly sliced lemon (no seeds) on top of the cheese. Next add a couple extra thin slices of your cheese on top the lemon. Tuck a few fresh herbs; basil and or oregano/tarragon around the cheese and lemon slices. Salt and pepper to taste. See notes for vegan option. Place back in oven for 10-15 minutes until cheese is melted and the socca bread is crispy and brown on outside. Broil for 2-3 minutes if you want extra crispy and chewy flatbread (farinata). Remove from the oven. You should be able to slide or use a spatula to place the pizza crust onto a stone or heat safe surface to cool. Finally, top with extra herbs, peppercorn, and everything seasoning of choice. Drizzle a little of olive oil on top before slicing and serving. Depending on the size of your pan, this socca serves about 3-5 people. A cast iron pan works well for making socca. The larger the pan, the thinner the crust. 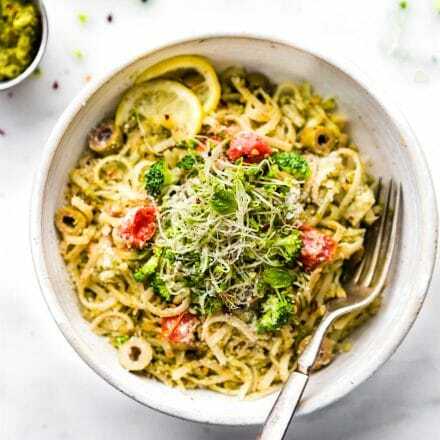 Vegan option– Omit cheese and use my vegan pesto recipe with Bob’s Redmill nutritional yeast on top. Or feel free to use a meltable vegan cheese. Estimated Nutrition using Buffalo Mozzarella. Serving Size: 2 small slices (or 1/4 of pizza/flatbread)- To reduce calories, use less cheese or an shredded aged cheese such as Parmesan). PS –> If you want EXTRA CRISPY FLATBREAD TEXTURE, try broiling it longer. Here’s the result. SO SO GOOD! Broiled lemon, bread, and cheese is underrated. 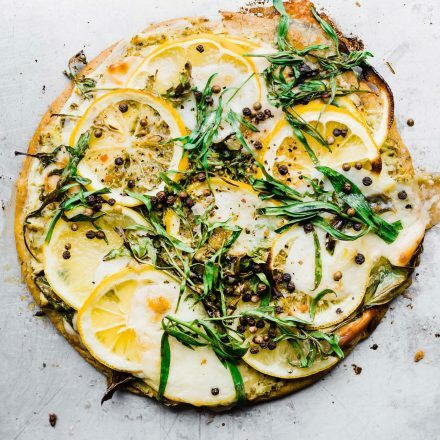 So what would you call this lemon herb socca pizza? Who’s side are you on? Italian Style Farinata or French Style Socca? They both win by the way. Chickpea flour does wonders I tell ya! Beyond gorgeous! I need to try chickpea flour! Look at those gorgeous colors! A must try for sure! This is SO my kinda pizza! Gimme all the herbs! Errrr my gawd I love lemons on pizza (or socca or farinata!) and I think they are totally an underused ingredient. Beautiful photos and I can’t wait to try this! This pizza is way too pretty to eat! I haven’t made socca in SO long. To be honest, I haven’t made anything in so long… I swear I’ll cook again one day. Really. This looks gorgeous! I love the fresh mozzarella. It’s my all-time favorite! I’ve only made socca to eat plain. As a pizza crust is a fabulous idea! LOVE those toppings! Oh you gotta try the pizza version! Ok, you’ve succeeded in persuading me I need to finally buy chickpea flour!! Can’t wait to try this! I have had neither before, but I am completely sold! This pizza sounds great, no matter what you call it! I’ve never tried socca but now I think I have to! I love how bright and happy these pizzas are. The lemon and the cheese together just sounds delish. AHHH, looks (almost) TOO pretty to eat! Perfevt light, meatless Monday dinner! So happy you got to meet the girls from Bob’s! Hoping I’ll get a chance to hook up one day too and talk all things BRM! Love their products! This socca pizza is making Meatless Monday look pretty awesome Lindsay!! Absolutely on my must try list! This pizza looks glorious! love the chickpea flour! Goodness me, if I had garbanzo bean flour, I would make this chickpea pizza ALL the time! Mine would be topped with tons of vegetables and pepper flakes! Delicious! My daughter (15) who is the best food critic for my experiments in the kitchen rated it 6 out of 5 :-). Oh i love that! so glad she approved! Lindsey, there is no difference between Italian Farinata and Socca garbanzo bean flour pancake. 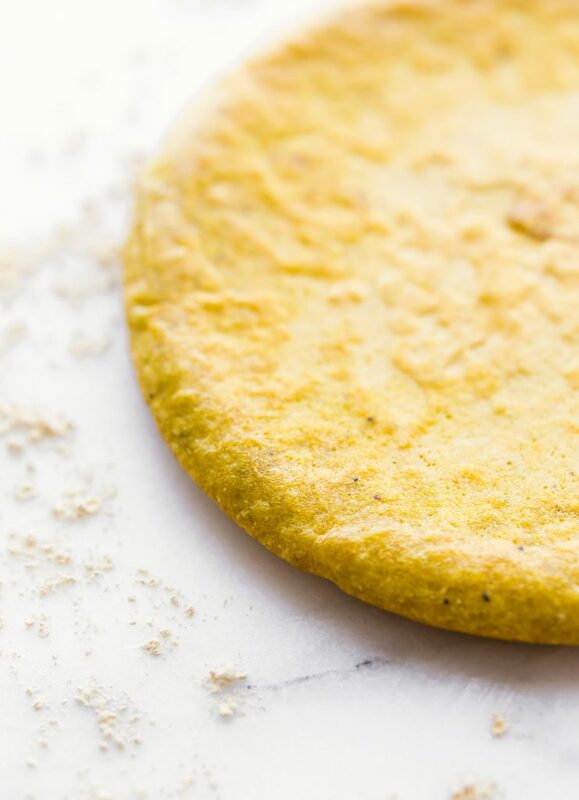 Both socca and farinata are made form the same bean flour and only by personal preference, are made in various size cast iron skillets and pans which result in different textures of choice. Herbs and spices are optional for both as well. Unfortunately, or this reason, I would be reluctant to follow a recipe from your site due to incorrect ingredient information. Sorry to hear you wouldn’t try my recipes. I was taught this information in culinary school. But everyone is entitled to their own opinion. I understand that Ame. I appreciate your feedback. Cheers! Once you have perfected every once of your culinary information… then you can leave comments like that! 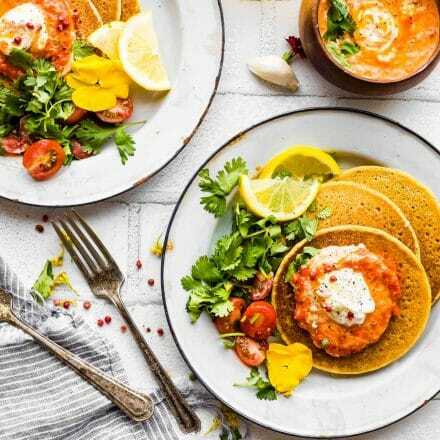 Everyone has opinions but that doesn’t mean you have to boycott making her recipes… 😉 This recipe is absolutely amazing! I hope you end up giving it a try! 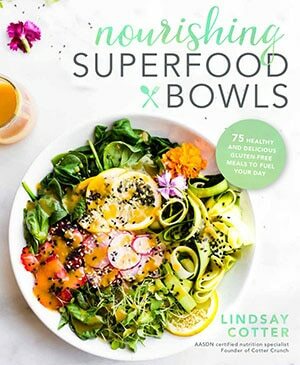 The recipe looks wonderful – I will be excited to try it out! I used a cast iron. WOrked great! Ummm….. happy to see all the excitement, but …..has anyone actually MADE this? I guess I’m just task-oriented, sorry. Yes! Many have. But happy to help answer any questions if needed.